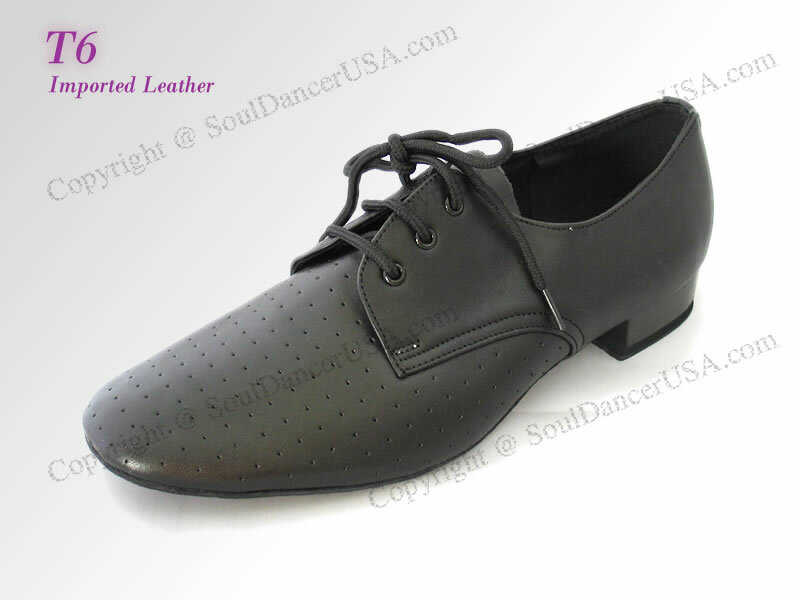 Classic design with perforations in front half of shoe to keep your feet comfortable for hours of dancing! Great shoe for teaching and practicing. Pictured in Imported Fine Leather(S4), with Men's Modern Heel.